Midwestern Gothic staffer Sydney Cohen talked with author Michelle Herman about her novel Like A Song, using writing as a vehicle for the spoken word, exploring a relationship in fiction and more. 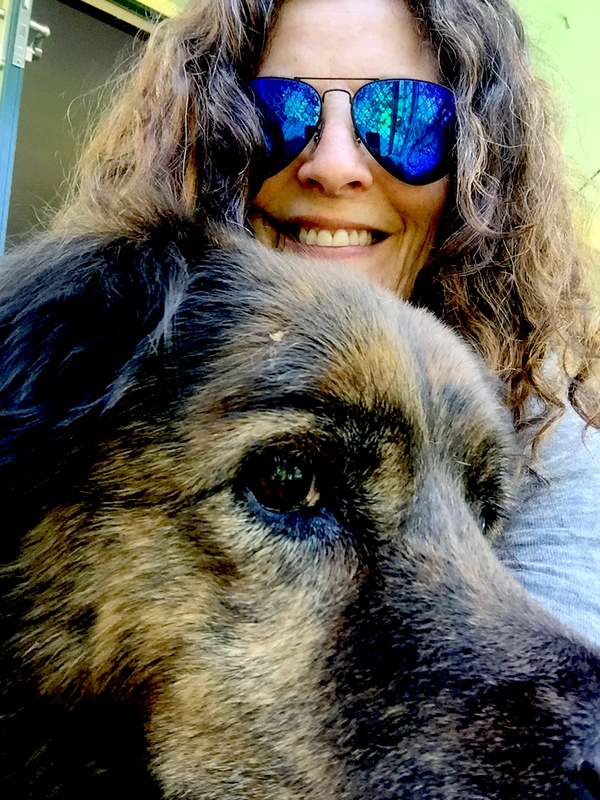 Michelle Herman: I’ve lived in the Midwest in 1984: first in Iowa City, for graduate school — after which I fully expected to return to New York (I’d sublet my sublet! I was only going to be gone for two years!) — and then in Omaha, NE for two years; in 1988, I was offered a teaching job at Ohio State and I finally realized I wasn’t going home. I moved to Columbus and have been there since. SC: Your book of essays, Like a Song, explored your relationship with your daughter Grace from her childhood to young adulthood. What was your process when writing the book – did you write as you experienced things in the moment, or write in reflection of those events? MH: First in the moment, then in reflection. It’s actually the process of going back to what I’ve written “in the moment” that’s most interesting to me. And in the case of the first essay in that book, “Performance,” the first draft was written in 2005 — and even by the third of fourth draft everything I was writing about was changing (this is the joy and peril of writing personal nonfiction). I published a version of that essay in 2005, in American Scholar, and it was only much later, when I decided it had to be a part of this book, that I returned to it with the perspective of some years removed… and then again, once more, during final revisions of the book, in 2014. Every time I returned, I felt another layer had been added. And the last, long essay in the book, “Where You Start,” was written, first, during a difficult summer (that I ended up writing into the essay, later): I wrote a version of it during the summer of 2011 and then rewrote and rewrote it for the next few years. SC: Your last essay in Like a Song discusses your love of talking, and how that love is translated to the page. As an author, how do you use writing as a vehicle for the spoken word? In what ways are your thoughts and words different, or the same, in writing versus conversation? MH: That’s an interesting question, because the rhythm of (my) natural speech is important to me when I’m writing narrative nonfiction — I want to write the way I talk (which is not something I think about when I write fiction). It’s highly crafted “natural” speech, of course (if only I could revise what I say in life, and make sure I’ve always chosen exactly the right word!). But one of the great joys of this genre for me is ability I have within it to “be myself” on the page — just as expansive and exhaustive and digressive (etc.) as I am in life, just as interested in telling you not only what happened but what I thought and felt about it when it happened and what I think/feel about it now, and what the space between those means (and then this other thing that made me just think about, and what that means, too). And it pleases me very much when people who know me — even people who’ve known me only briefly, passingly — tell me that these essays “sound” like me, that they can hear me speaking the words as they read them. Can you describe the process of writing about a passion for singing, and how you navigated between the two different forms of communication to reach a meaningful expression of your feelings? MH: Well, here’s a question I don’t know how to answer! Unlike talking/writing, singing/writing seem to me to work on two different channels altogether. The communication of singing is more like the communication of kissing than it is like writing — in other words, it’s far less about language than emotion (for me, anyway). Because I’m interpreting lyrics, not writing them — and because so much of the interpretation stems from the music and not the lyrics (or the two are inextricable!) — singing feels like something far removed from writing. Thus, writing about my love of singing was like writing about my love of anything or anyone else — my daughter, my hometown, my father, my grandmother, certain books — whatever it is that I am writing about tenderly and/or longingly or with simple affection. I never thought for one moment about “navigating” between the two. Sometimes I was singing, sometimes I was writing, sometimes I was writing about singing (which made me want to take a break from writing and do some singing), but it was never confusing to me — it never seemed to require navigating beyond the daily navigating of writing about anything. SC: As an accomplished author, you have in your repertoire numerous novels and essay collections. What’s important to keep in mind when writing fiction versus nonfiction? What excites you about each genre? MH: I’ve already mentioned something of what I love about writing nonfiction, what was a joyous discovery for me when I began to write it (after many years as a fiction writer). But I am always so happy and relieved to return to fiction! There is nothing quite like building a human being of your very own from scratch — figuring him out, learning as you go, seeing what happens when you put him into situations that he must instinctively react to. There’s nothing like exploring a relationship in fiction — taking two of your inventions and locking them in a room together to see what happens between them. And I love — I have always loved (which is why for years I didn’t understand why anyone would write nonfiction about their own life) — taking bits of my own life, my self, others I’ve known or observed, situations from life, little moment and big ones, and exploring them to see what I might make of them. I like the putting-it-together of fiction, and the growing from a small thing — an image, a phrase that has somehow stuck with me, an idea of what something might have meant. Really, from anything – and I love taking disparate “real” things and seeing how they grind against each other, how a story starts to emerge from that. I would say I love the “freedom” of it, but I never feel terribly free, writing fiction. I always feel as if the house is on fire and I’m just running around trying to save things before they burn. The answer to the question about “what to keep in mind” is: when writing nonfiction, tell the truth; when writing fiction, just make sure it seems true (which often, I’ve found, requires more research). SC: While a native New Yorker, you have lived and taught for many years in Ohio. How has the Midwest influenced your writing? Would you say there are any components of your work that are distinctly regional? MH: Well, I have been setting stories in the Midwest for a long time now — I can’t seem not to. Ever since my second book, I’ve used a Midwestern setting. It’s uncanny, really. I never intended this. Often (but not always) my characters are transplanted New Yorkers. When I do set stories in New York – or when I write about my own life in New York – I have a perspective (a useful distance) I certainly never would have been able to attain had I not left. I think I’m writing about New York very differently than I would have otherwise. I would say, though, that my stories are much less about place than they are about character, that place takes a back seat to person (which is how I live, too; I’m not much interested in travel, for example — I mean, I like it fine, but I don’t yearn for it the way so many people I know do). I think I use a very light touch when it comes to setting — but I also think that my fiction probably seems to be distinctly of New York, even when it’s set in the Midwest. I think it’s probably a sensibility coming through (you can take the girl out of Brooklyn, but…) as well as a cadence and, for lack of a better word, a spirit. But maybe I’m kidding myself. 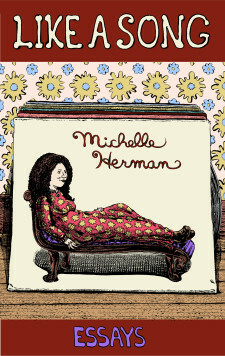 Michelle Herman was born and raised in Brooklyn and attended New York City public schools and Brooklyn College, after which she spent eight years eking out a living (mostly as a freelance copyeditor, but with stints at wire service reporting and other short-lived, ill-fated jobs) in Manhattan. When she left New York for graduate school in Iowa in 1984, she had no idea that she was leaving New York for good (or at least for the next 30+ years). Her eighth book, a novel, Devotion, came out just this past spring; her 2005 novel Dog was reprinted this year too. Like A Song, her third collection of personal essays, came out in 2015.